In the recent publication of my article entitled “Day Camper or Pilgrim?”, my friend who was doing the layout chose to illustrate the piece with a Pilgrim hat. You know, one of those conical hats with the wide brims that our kids wear in Thanksgiving pageants as an ode to the Plymouth colonists. Well, there are Pilgrims and then there are pilgrims. The earliest use of the term refers to one who is on a religious journey to a holy place. The practice is common in many world religions, especially in Islam where every devout Muslim desires to make the pilgrimage to Mecca at least once. The word has also been used to refer to our time here on earth. 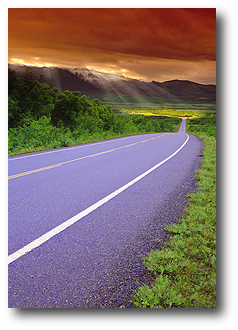 The idea is that we are just sojourners here on the way to something better. Of course, the historical Pilgrims or Pilgrim Fathers, the ones with the hats, were religious dissenters who founded the Plymouth Colony in Massachusetts in 1620. They are often called Puritans because of their desire for a pure faith apart from the established church in England. They were on a pilgrimage to religious freedom. I used the term in the article with the sense of Eugene Peterson’s book, A Long Obedience in the Same Direction: Discipleship in an Instant Society, in which he reflects on the Songs of Ascents in the Hebrew psalter. These were songs sung by pilgrims on their way up to worship in Jerusalem. My conviction is that Christ has called us to be on a journey with Him. This is not a sprint but a marathon. On this pilgrimage, we can discover more about Him as well as more about ourselves. This is also preparation for the eternal pilgrimage we will experience with God. The journey goes on! The first real “job” for which I was paid was as a math tutor. Considering that I failed Calculus in college, this is rather ironic. I was a junior in high school and my math teacher recommended me as a tutor for an eighth grader. The parents paid me ten dollars a session. As I began working with this young man, I realized pretty quickly that he already knew what he was supposed to do. He understood the calculations and was probably a better math student than I was! The key was focus. He needed someone who would just sit with him, respond to his work, and provide encouragement. I did not need to be an expert; I just needed to be there. I find myself in the same situation very often as a leadership coach. As I talk with a client, I discover that not only does the person have the best knowledge of the situation we are discussing, but he or she has some ideas about how to address it in a positive way. So why does the person need a coach? One of the things that a coach does is to help a person have a conversation with herself or himself. The coach asks the questions that the client needs to be asking for decision, planning, and goal-setting. The coaching conversation brings clarity by helping the person to openly articulate solutions and approaches that, up to that point, were simply ideas and inclinations. A friend recently asked me about my approach to coaching and how I knew when I was successful. I know that I am helping the client when he or she says, “That is a good question.” I have not shared new information but have encouraged the person to dig deeper and unearth his or her own knowledge, experience, or gifts. Most of us already know more that we are doing. A coach can provide the catalyst to act on what you already know. When we went to vote early recently, two of our grandchildren were with us. This brought to mind the times when I was a child and went with my Dad to the voting place in our neighborhood. He would pick me up at school and we would go directly to the polling place so he could cast his ballot (my Mom always voted earlier in the day). My parents’ example has stayed with me. This is one of the most important ways that we exercise our citizenship. Even if I estimate that my candidate has little chance of winning, I know it is important to express my point of view. We are a week away from mid-term elections. Early voting has been going on in many places for a couple of weeks. I encourage you to cast your vote for the candidates of your choice. I am not arguing that you vote for a particular candidate or party, but I do suggest that you ask yourself these questions about each candidate as you decide. First, would you be willing to have this person as a guest in your home? Is this a person that you would enjoy spending time with and who would enrich the lives of your family members? Second, does the candidate respect every person in their constituency regardless of social or financial status? A representative does not have to agree with everyone in their constituency, but elected officials represent all the people in their area, not just one particular group and not just those who voted for them. Can they listen to and respond to dissenting voices in a constructive way? Third, is this candidate more concerned about people than issues? Issues change over time and an elected representative may be asked to act on legislation that impacts our changing society in unexpected ways. People matter more than issues. Fourth, do the person’s public actions reflect a moral center? Does this person appear to know right from wrong? All of us make mistakes in life, but is the candidate willing to admit his or her errors and acknowledge these with a contrite spirit? Fifth, does this candidate have “real world experience”? Have they been in positions where they have earned a salary, supported themselves and a family (if they have one), and worked with different types of people? The level of responsibility is not as important as the experience of working with others to accomplish a task. Whatever your decisions may be, I hope that you will prayerfully consider your choices and then vote. Voting is both a privilege and a responsibility. While attending the ordination service for a friend recently, I appreciated that the person bringing the challenge to the candidate provided a strong emphasis on the role of a clergyperson to call and equip leaders for the church. Although not always emphasized, this is one of the most significant tasks of a leader. Some believers are set aside to equip God’s people for the “works of service” so that everyone can find his or her place in the Body of Christ and grow in Christlikeness. This does not mean that we have two levels of giftedness—the clergy and the laity, for example—but different functions in the body of Christ. Those we usually refer to as “clergy” are ministers and those we call “laity” are also ministers. Those gifted as apostles, prophets, evangelists, pastors, and teachers (the last two may be one function) are specifically charged to equip and empower others for ministry. So how do those with the responsibility to equip and empower other believers do their work? They do it by developing a culture in the church that fulfills the goals of equipping and empowering. In my book, For Such a Time as This: Aligning Church and Leadership for Missional Ministry, I suggest some specific actions that contribute to this type of culture. The church must recognize all gifts without respect to gender, age, or ethnicity. This means that women, older adults, median adults, younger adults, youth, children, and people of various races all have a part to play in the church. 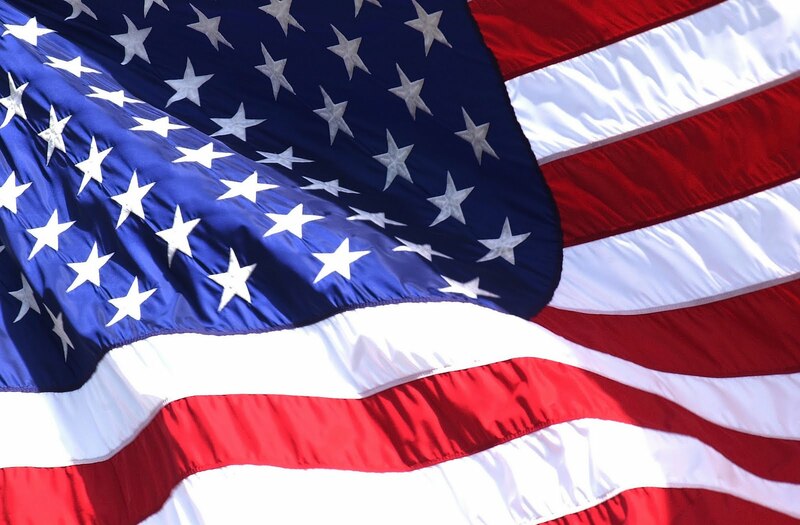 We must remove the prejudices and ingrained habits that are barriers to their service. We must encourage people to discover how God has “wired them up.” Each person is a unique mixture of spiritual gifts, talents, experiences and passions. When we understand who we are, we are better prepared to find the right place of service. The church must organize for equipping and empowerment. What are the structures—discernment, counseling, assessment, training, placement—that we can put in place to help people use what they have to further the ministry of the church? We must train both “clergy” and “laity” to mentor and coach each other to use their giftedness and find the right placement in the Body of Christ. Scripture offers many examples, especially in the work of Barnabas and Paul. God continues to call gifted and talented men and women for “works of service.” We must be more intentional about helping them find how to perform that service. Life Coaching or Personal Development Coaching can take many forms. I recently was involved in a conversation with a colleague about coaching seminary students around their financial habits. 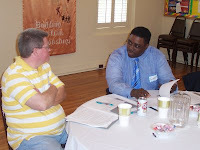 One of the things we discussed was whether a person needs to be a financial expert to coach someone about finances. We agreed that helping a person to break old habits or, perhaps more proactively, develop new habits or behaviors was the key to financial coaching rather than financial expertise. Developing new habits is not easy. Some suggest that, on the average, it takes more than two months before a new behavior becomes automatic — 66 days to be exact. More realistically, how long it takes a new habit to form can vary widely depending on the behavior, the person, and the circumstances. In a study by researcher Phillippa Lally, a key finding was that it took anywhere from 18 days to 254 days for people to form a new habit. This is where coaching can make a significant contribution in a person’s a life. A coach does not “fix” a person or prescribe the best course of action for a client to follow. 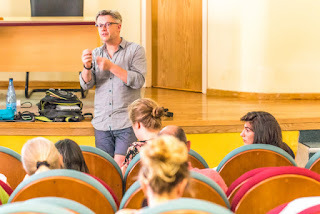 The role of the coach is to help the person discover what he or she wants to do, make a realistic assessment of where the client is versus where the client wants to be, work with the client to discover the resources he or she has available, and then to set goals and pursue actions that will bridge the gap. The coach helps the client develop her or his own support network and accountability structures and walks alongside as the client does the hard work of change. The coach does not have to be a content expert, but the coach does have to be a process expert. A coach can’t change another person. The person is the change agent. Have you thought about working with a coach? This would be a good time to take action. If you want to know more about coaching, please contact me at ircelharrison@gmail.comand we can set up a time for free coaching call so that you can learn more. This week I was part of a group reviewing Bible study lessons for a special emphasis in our congregation. The participants were of different ages, and the classes they teach represent several different stages of life--young, median, and senior adults. As we reflected on the scriptures, reviewed goals, and discussed teaching approaches, I was reminded of several things. First, how we respond to scripture is necessarily conditioned by our stage of life. 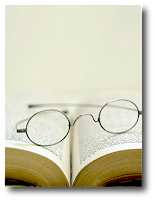 Even those passages that we have read repeatedly expose new insights as we experience life. A passage that might have been a challenge for personal growth when I was a college student now calls me to invest in the lives of others. Blessing, tragedy, love, loss--these change the lens through which we read the Bible. Second, when we are teaching a particular age group, especially one that is different from our own, we must not assume that we know their mindset. As we plan our lesson, the activities, and the questions we will ask, we should provide opportunity for those in the group to reflect upon the text with their own eyes and see the things that we might not see. Third, people at different life stages learn things in different ways. While some of us in the group were thinking of the right questions to ask and illustrations to share, the college age teacher was thinking about how to use a software application for her students to apply the lesson. Fourth, we learn more from the text when we honestly engage it. Rather than forcing the passages into a pre-determined structure, we must be prepared to read with fresh eyes and honest questions. We learn most when we identify the dissonance between our pat answers and our real feelings. Inter-generational discussion about the Bible is a rare opportunity. Most of our adult Bible study programs are not designed to provide that type of dialogue. We are missing something by not engaging people from various stages of life in Bible study together. Jim Hudan and Rich Berens have provided a helpful book for organizations based on the best recent research on organizational development. They challenge those leaders who think everything is working smoothly when there is much that can be done to improve the functionality and health of their organizations. Purpose matters, but it doesn’t drive our numbers. We have a compelling story to tell that our people care about. Rational and logical presentations engage the hearts and minds of our people. People will not do the right thing unless you tell them what to do and hold them accountable to do it. My people feel safe telling me what they think and feel. These common misconceptions hinder both organizational health and productivity. 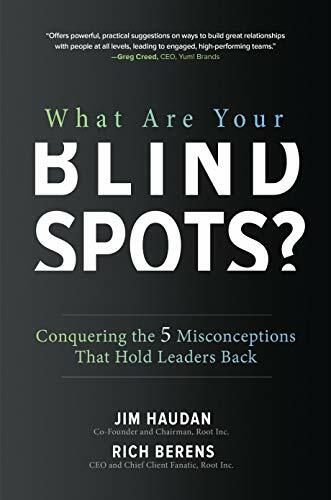 The common factor in all of the blind spots has to do with the people--the employees--who actually accomplish the work. Hudan and Berens challenge leaders to wake up and realize that most of what they understand and practice about leading and supervising is wrong. The purpose of the book is not only to challenge these misconceptions but to provide, in a brief easily understood way, a process for change. In many ways, the book is a “cook book” on how to initiate, implement, and sustain a new way to working with everyone in the organization. The authors have provided a very practical, research-based, but user-friendly approach to organizational change. 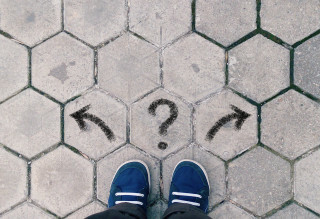 Although the term “strategic planning” is still a key emphasis for most businesses and organizations, I have found more churches embracing the idea of “visioning” -- defining a path forward but one that is responsive to the role of the Spirt in its execution. Several things are necessary for a successful visioning process. Let me identify four essentials. First, spiritual and relational preparation. If we are doing God’s work, a good beginning point is calling people closer to God. Through prayer, Bible study, and sharing, the disciples in a congregation come to understand that God speaks in many ways, including the experience and learning of fellow parishioners. Forty Days of Prayer: Preparing Ourselves for God’s Calling by Mark Tidsworth is a good resource for this preparation. Second, assemble a team. The pastor and the ministerial staff should not do this by themselves. The vision is not handed down from “on high” but arises from the people. A strong team should be inclusive (men and women), multi-generational, and diverse in experience and service. Although long-term parishioners bring wisdom to the process, newcomers bring a fresh perspective. I have found it helpful to include some persons who are relatively new to the church but have already shown a high level of commitment. Third, involve those in the church in real conversations. 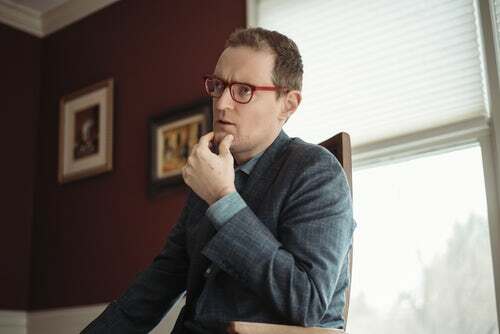 Alan Roxburgh writes that “the Spirit of God is among the people of God.” The Spirit speaks most often through face-to-face conversations rather than surveys. Surveys have their place in obtaining information, but transformation comes through dialogue among people in small groups. Fourth, engage with your larger community. Visioning should not be done in a vacuum. In church planning, we tend to talk among ourselves rather than engaging in conversation with our neighbors and fellow citizens. What is God doing outside the walls of our congregation? How should we be involved? 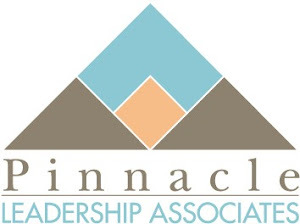 If you are interested in learning more about visioning, feel free to contact me at ircelharrison@gmail.com or check out the Pinnacle Leadership Associates website. In a recent Fast Company article, Stephanie Vozza suggested ways that a person in a job interview should answer the question, “What are your strengths?” The answers she provided are good and apply also to those who plan to practice ministry in the 21st century. First, “I am a good problem solver.” The church today has plenty of problems, although I would prefer to call them challenges. Most churches have limited resources and unlimited opportunities. Despite diminishing numbers, aging congregants, and declining financial resources, most churches are located right in the middle of multiple ministry opportunities. Leaders are needed who can identify those opportunities, bring both parishioners and community members together to address them, and leverage the resources available to pursue a path forward. This means that ministry leaders need skills in asset-based community development, appreciative inquiry, human-centered design, and other processes to engage people in developing and implementing solutions. 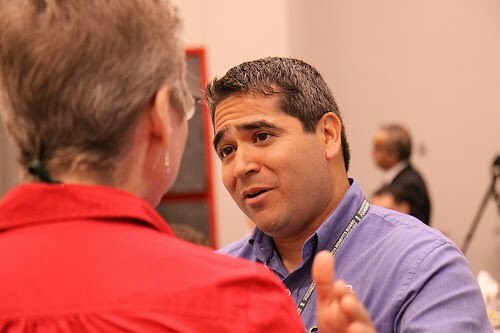 Second, “I am a good communicator.” Attending a recent conference, I heard a speaker say, “Most of you are not here to receive information but inspiration.” Good communicators go beyond providing information clearly to inspiring people to action. They are in touch with the reality of their church’s situation and challenge people to come along with them to address that reality in a proactive way. They use personal experience, scripture, stories, and media to do this. Third, “I have strong time management skills.” Since more is being demanded of our ministry leaders, they need to set clear boundaries and make good use of their time. Each of us must acknowledge our needs and our limitations. If we do not nourish our spiritual and relational lives, we will fail as leaders and as human beings. We must also use all of the tools at our disposal to be effective time managers. Your smartphone can be your friend if you use it properly. Fourth, “I am very determined.” A leader should have a clear understanding of his or her calling from God. You need a clear vision for your life. Although you may not know the exact path that you will follow to achieve that vision, you need a realistic understanding of your gifts, skills, and inherent strengths. This will help you stay the course. Fifth, “I am honest.” Our society needs people of integrity, those who are consistent in what they say and what they do. It is a bit sad that we see integrity is a gift rather than a given! This gift of honesty and integrity also applies to this list. If you don’t have these skills, be truthful about your shortcomings and then get to work on developing them. Since many people are still not familiar with the coaching process, I usually begin the first session with a client giving a quick overview including the fact that the process is client-centered, conversations are confidential, and coaching is not counseling. Therapy or counseling is very important and sometimes a person is not only being coaching around growth issues but he or she may also be seeing a counselor for deeper personal concerns. 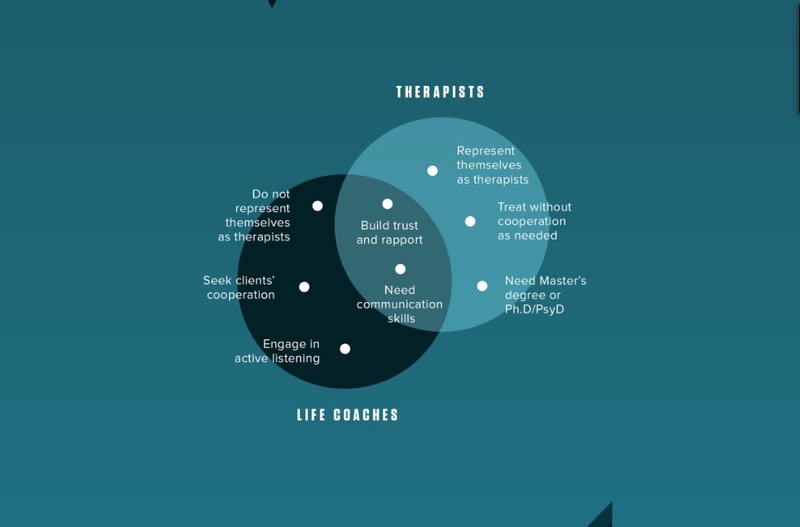 The diagram from a coaching organization gives some clarity about the differences between coaching (or “life coaching”) and counseling (or “therapy”) as well as areas of commonality. Coaches do not represent themselves as therapists. Their work with the client is future oriented and does not deal with issues such as grief, anger, and loss. Coaches not only seek but need the client’s cooperation in order for the coaching relationship to be productive for the client. 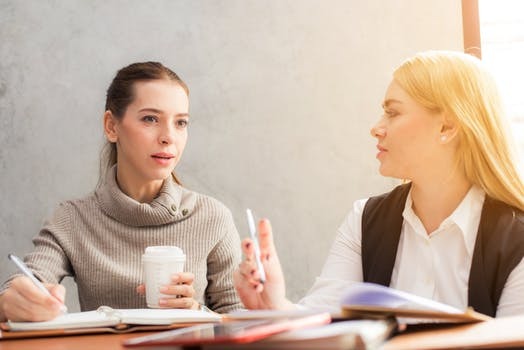 Coaches engage in active listening, not only listening TO the client, but listening FOR feelings, ideas, or possibilities that will aid the client in achieving the goals he or she has chosen. Therapists clearly represent themselves as trained and licensed professionals. They are prepared to help the client address deep emotional issues. Therapists have at least a Master’s degree and may have a Ph.D. or Doctor of Psychology degree. They have also gone through a lengthy credentialing process. Therapists sometimes are required to treat patients even without their cooperation. This may be due to a requirement or mandate from an outside party or organization. Both need to build trust and rapport with their clients in order to be effective. Both need good communications skills, asking good questions and listening carefully to the responses of the client. Although a good coach does not have the level of training of a therapist, he or she is a professional and has sought out the training and practice to be effective and ethical. If someone is seeking a coach, I recommend they ask about training, certification, and experience. Don’t settle for less than the best! Coaches recognize their limits and refer clients to therapists as needed. 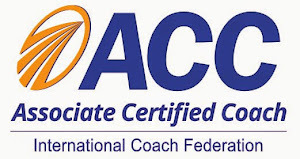 Increasingly, many counselors see the value in coaching, making referrals to certified coaches. Some therapists are even adding coach training to their portfolios and adding this as a separate practice. In the best-case scenario, counselors and coaches can come to see themselves as partners in helping people. Each has a positive role in people development. “Robert Hutchings Goddard, born on October 5, 1882, is widely regarded as America’s first true rocket scientist. A native of Massachusetts, Goddard was educated at Worcester Polytechnic Institute, and later taught physics at Clark University. Goddard was not only an “early adapter,” he was an innovator wo understood that a very simple idea might have far reaching implications. Innovators like Goddard are often far ahead of anyone else. The see answers for needs that may not have been clearly articulated yet. They see things that others miss. In a recent webinar, my Pinnacle colleague David Brown talked about “holy experiments,” small innovations that my blossom into vibrant ministries. The interesting thing about holy experiments is that they often emerge on the periphery of what we are doing now. Like something that appears in our peripheral vision but is not there when we turn our head, opportunities for holy experiments are often seen only with the eyes of faith. We know that there is something there, but we just can’t quite put our finger on it, then suddenly all is clear, and we see what must be done. I tend to think that this is how the Kingdom of God emerges. Jesus said, “For, in fact, the kingdom of God is [already] among you.” (Luke 17:21, NRSV) The opportunity is there but it will only be seen when the Spirit reveals its presence to those with the eyes of faith.